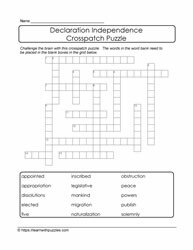 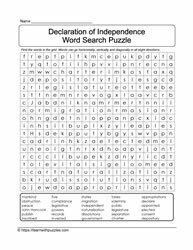 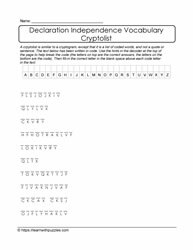 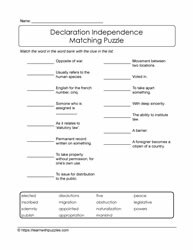 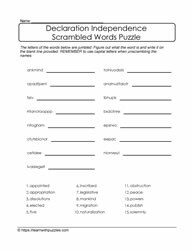 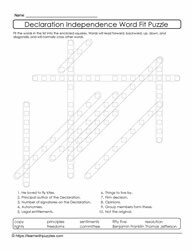 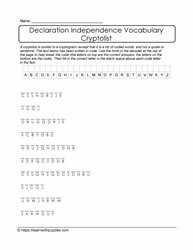 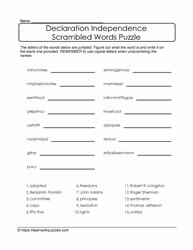 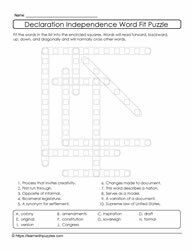 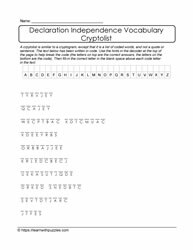 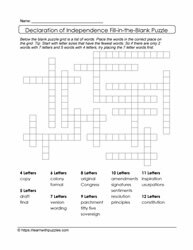 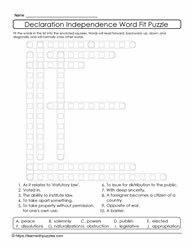 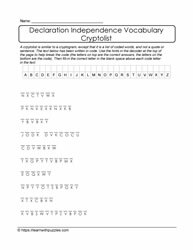 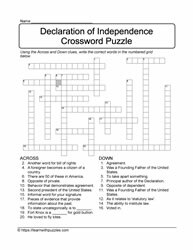 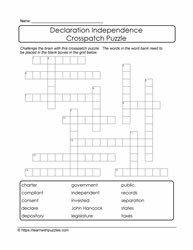 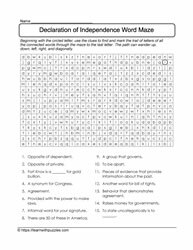 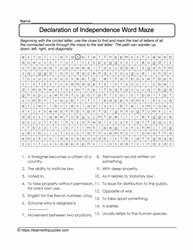 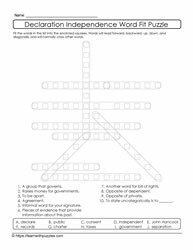 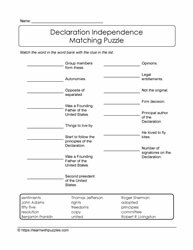 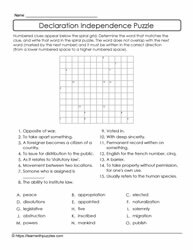 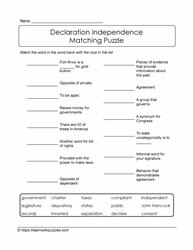 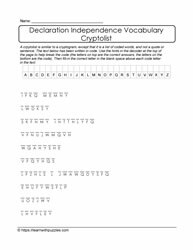 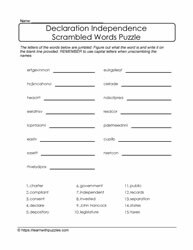 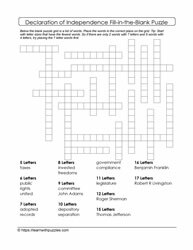 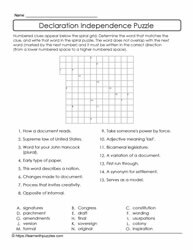 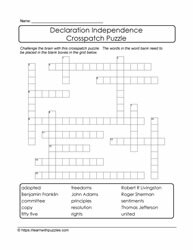 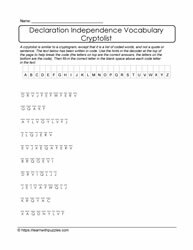 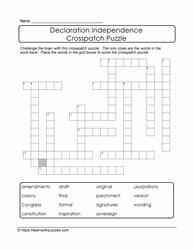 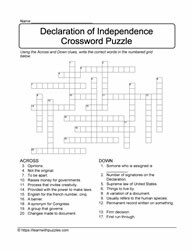 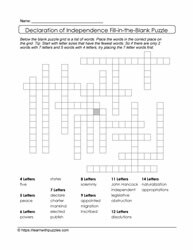 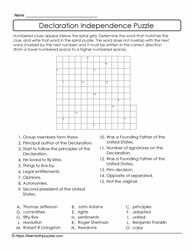 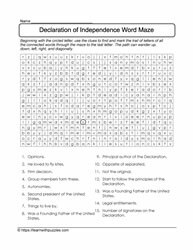 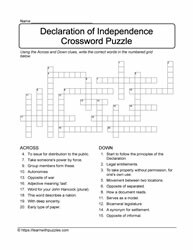 Here are multiple puzzle types for students to learn about the Declaration of Independence. 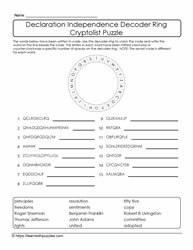 Word mazes, crossword challenges puzzles, wordsearch puzzles, decoder ring puzzles, cryptolist puzzles. 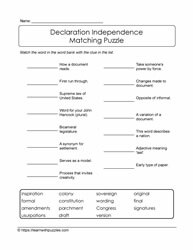 Downloadable and printable, these teacher created resources are great for middle school students, homeschooling students and family fun. 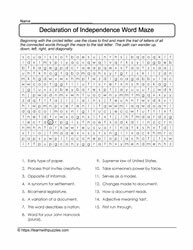 Challenge friends, family and classmates. 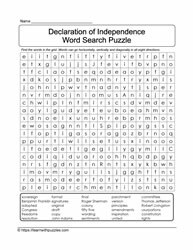 Fourth of July wordsearch puzzles. 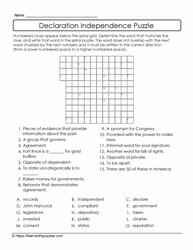 Heads of State-USA matching puzzles, cryptolists, word searches and so much more.